Visiting a luau while in Hawaii is the perfect way to get to know local island culture and experience a Hawaiian tradition, try Hawaiian cuisine and enjoy music and dances from Hawaii and across Polynesia, including hula and fire-knife dances and drumming. Before the big luau feast, luau guests are invited to watch or participate in arts & crafts, such as flower lei making or ukulele lessons, and experience the traditional imu ceremony, in which the roast pig is taken out of the underground oven, the imu. Luau guests are then invited to savor a delicious luau buffet dinner with a wide variety of dishes, including kalua roast pork, fresh island fish, teriyaki chicken, prime rib, lomi lomi salmon and much more. 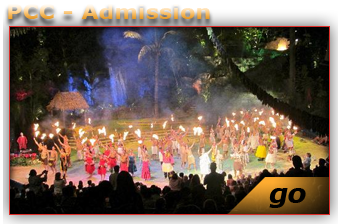 The grand finale of every luau is a spectacular Polynesian show. There are several great luaus on the island of Oahu to choose from. We invite you to browse our site and choose your favorite Oahu luau. 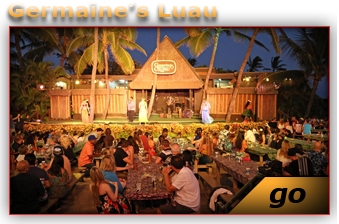 Make your reservation early as luaus tend to sell out quickly. Oahu-Best-Luau.com offers the best prices on all Oahu luaus! 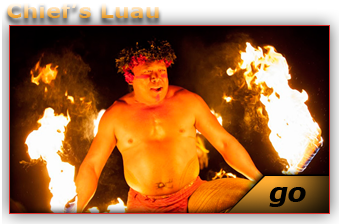 For more information or to order your luau tickets over the phone, call Toll Free at 1-866-482-9775 or 808-892-2082 (local).